Ahead of a new IAEA report, diplomats reveal that Iran has installed hundreds of centrifuges at its underground facility in Fordo. Iran has accelerated its activities at the Fordo underground nuclear facility near Qom, international diplomats said Thursday. The information is of concern to Israel, which fears Iran is developing a nuclear weapon. The information revealed by the diplomats comes several days before the United Nations’ nuclear watchdog agency, the International Atomic Energy Agency (IAEA), is set to publish a new report on Iran’s nuclear program. 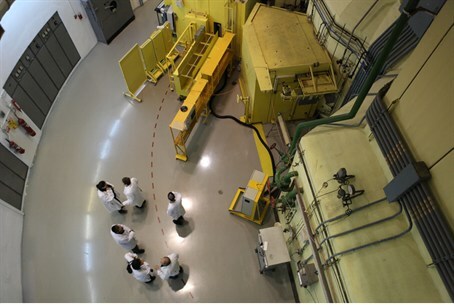 According to the diplomats, the report will say that Iran has installed new centrifuges at the Fordo uranium enrichment facility. One of the diplomats estimated that hundreds of centrifuges were recently installed at Fordo and said that the IAEA’s basic premise is that Iran is continuing to install them. He added that the newly installed centrifuges are not yet active. Iran admitted last year it was moving more centrifuge machines for enriching uranium to the underground Fordo facility, which is carved into a mountain to protect it against possible attacks. The existence of the facility near Qom only came to light after it was identified by Western intelligence agencies in September 2009. The UN’s nuclear watchdog has already confirmed that Iran begun enriching uranium at the plant. If the new IAEA report on Iran's nuclear program verifies the diplomats’ claims, it may cause greater concern among Western countries of Iran's intentions and be used as proof that it continues to defy the international community’s demands that it stop its nuclear program. The newest information was revealed two days after the IAEA announced that it will renew its efforts to acquire access to the Iranian military installations in which experiments involving nuclear warheads are suspected to have taken place. The negotiations are set to begin on Friday. In addition to the Fordo site, the IAEA is also concerned about the Parchin military complex, a suspected nuclear-trigger test site, near which Iran razed two buildings several months ago. A senior diplomat who was asked on Tuesday about the possibility that the Iranians have cleaned up the evidence of nuclear activity in Parchin, said that Iran has entered the “final stages” of the clean-up of the evidence.